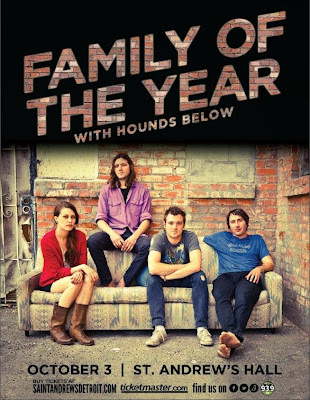 Hip In Detroit: Win Tickets to See The Hounds Below with Family of The Year at St. Andrew's! 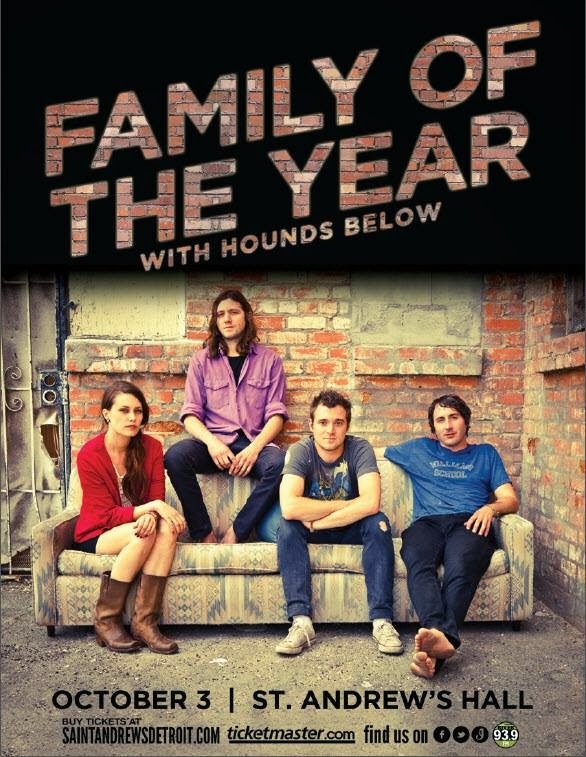 Win Tickets to See The Hounds Below with Family of The Year at St. Andrew's! 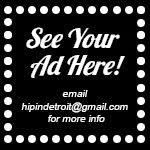 One of the reasons that we started HipInDetroit.com was to get people back into live music. For Christie and myself, going to shows has become a way of life. 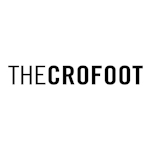 We understand that spending your hard earned money to go out and hear some music might not be on the top of your list, but we promise you a great live band can spice up your week and help you escape from the pitfalls of daily life. There is nothing like drinking some whiskey and hearing some blaring guitars pierce through the air to get your mind off of something that's been bringing you down. 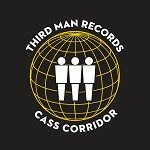 We like to give tickets away to see the bands that we talk about so that you can get the opportunity to check out great music without having to break the bank. Last week I ranted and raved about how great The Hounds Below sounded when I saw them in Flint and this week we are able to give three lucky winners the chance to bring a friend and see them for free. This Thursday they will be opening for Family of the Year at one of my all time favorite venues, St. Andrew's. The vocal harmonies of Family of the Year mixed with the indie guitars of The Hounds Below should make for an interesting show. Tickets are $15 and the show starts at 8 p.m. St. Andrew's is located at 431 East Congress in Detroit and all ages are welcome, so feel free to enter not matter what age you are. To enter to win, email us at hipindetroit@gmail.com and send your full name with the subject line Family of the Year or The Hounds Below. We will notify the lucky winners by email and they will have their name on the guest list plus one for the show. This show is only two days away so do not wait to enter. Good luck and don't forget there is nothing like good live music! Even if it's not this show, make sure to get out and see someone play live this week!